Founder, Afrika Biopharma Investments (Pty) Ltd.
Dr Ntuthuko Bhengu is a Panel Member of the Health Market Inquiry which, in 2014, was set up by the Competition Commission of SA to probe the private healthcare sector holistically to determine factors that restrict, prevent or distort competition and underlie increases in private healthcare prices and expenditure. He is also a Chartered Director (SA), Chairman of the Board of Directors of the Road Accident Fund and Non-Executive Advisory Committee member of Nestle (SA) (Pty) Ltd. In 2015, Dr Bhengu was appointed by the Presidency to serve as the Health sector expert and Commissioner of the National Planning Commission for 2015-2020. Dr. Ntuthuko Bhengu obtained his MBChB degree from Natal University in 1991 and the Diploma in Anesthetics from the College of Medicine of SA in 1994. 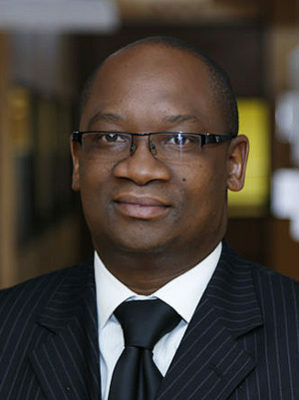 His business management qualifications include MBA (Wales, Cardiff) and MPH Healthcare Management (Harvard) degrees, which he obtained in 1998 and 2001 respectively. The latter degree gave him an in-depth understanding of Health Care Policy and Management of corporations in pharmaceutical, biotechnology, hospital and health insurance sectors. Dr Bhengu is a Fellow of the Africa Leadership Initiative.